BCMS 6th Graders show their blue support for Plaquemines Parish Sheriff's Office. Teachers from all schools attended a robotics and coding workshop hosted at the Woodland Central Office. BVES Cookery participants created meals at home and brought them to school to be judged by our panelists. BCPS - Did anyone say "Ice Cream Social"? BCMS Seventh graders have eggs-cellent observations while learning about osmosis. BCMS joined in the Second Line tradition during their culture club event. BCPS - The wheels on the bus go 'round and 'round these bright smiles as student arrive ready to learn. SPHS Nepris session - meeting experts from around the world on the Internet. Phoenix High School Robotics students. 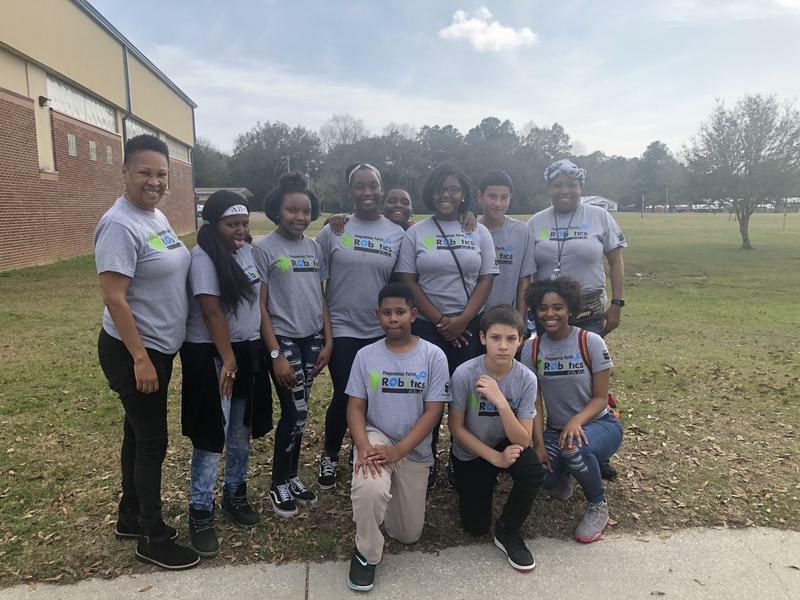 BCMS - Eighth graders are all smiles during their lunch time on Back the Blue day in support of the Plaquemines Parish Sheriff's Office. BVES Cookery Contest Winners - Our next generation of chefs. Phoenix High School students at Robotics competition. BCPS - Grandparent's breakfast brings more smiles to BCPS. BCMS Sixth graders reading during ELA class. BCPS - Having a happy moment. BCMS & BCHS - The middle school dance team and high school Cardinalettes performed together at a Friday night football game. BCMS - A New Orleans Second Line band performed for students and faculty at the Belle Chasse Middle School Culture Club event.